Named for our favorite Uncle Ted! 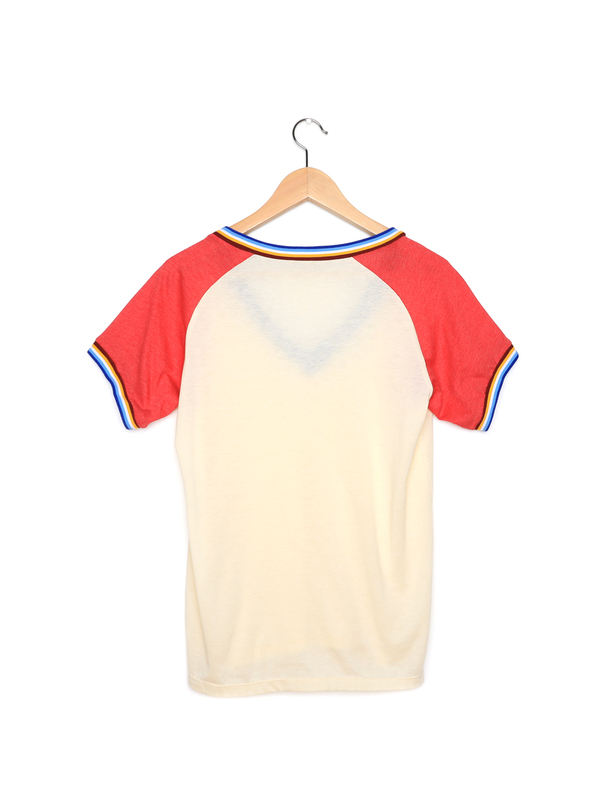 V-neck raglan short sleeve tee. 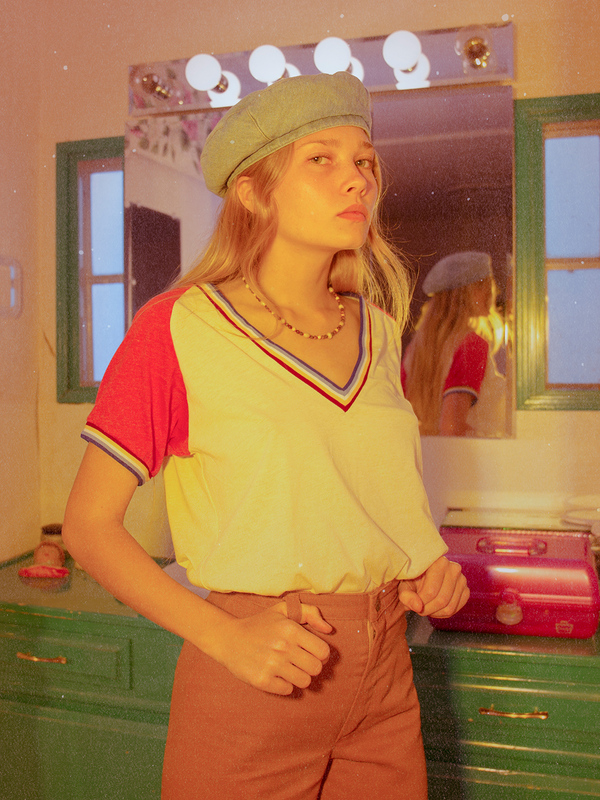 Contrast color sleeves. Stripe trim at neckband and sleeve bands. Locker loop at back neck.